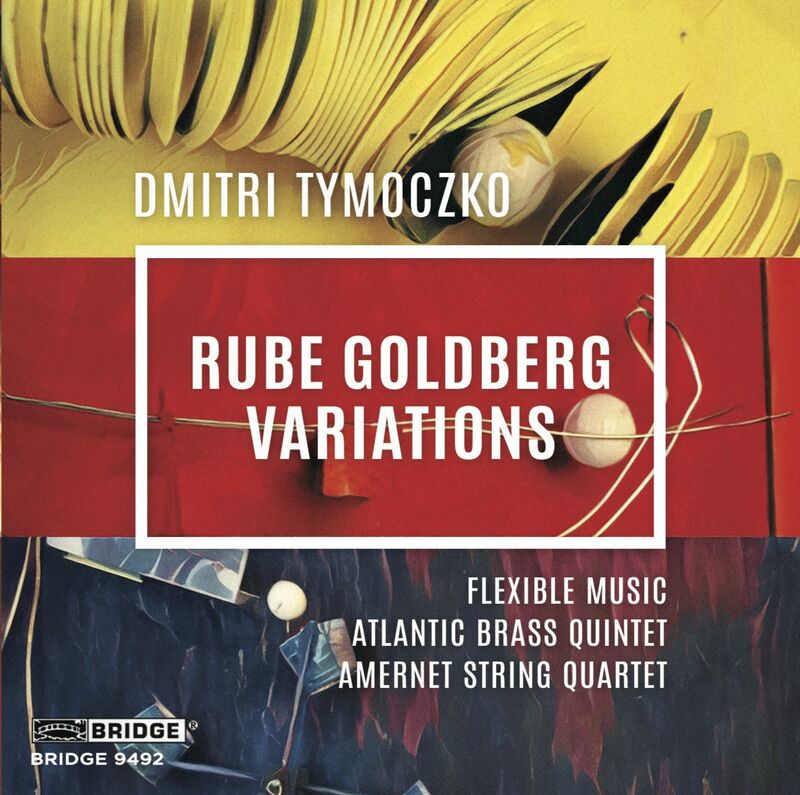 Rube Goldberg Variations contains three chamber pieces from 2014: "I Cannot Follow" for tenor saxophone, electric guitar, percussion and piano; "Rube Goldberg Variations" for Brass Quintet and prepared piano, and "S Sensation Something" for piano quintet. The three pieces are linked by the sound of the piano, which is set in very different sonic contexts over the course of the album. The music is tonal and eclectic, aiming to be accessible and cerebral at the same time. The music has been described as "foot tapping," "sassy," the product of "an intriguing musical voice that should interest anyone in search of a new auditory experience" (Limelight), "whimsical," "ingenious," and with a "rich emotional arc" produced by a "warmth of personality that is distinctive" (SFGate). This recording was made possible in part from the Barr Ferree Foundation Fund for Publications, Department of Art and Archaeology, Princeton University. Available from Amazon & iTunes.